EVENT WATCH: Writersfest offers up an intimate lunch with Vincent Lam — and a copy of his new book to take home! Just as rock groupies would do anything for a backstage pass, readers crave the chance to get up close with their idols — to meet their favourite writers and hear first-hand the thought processes behind great works. Lunch, let it be known, is at the vaunted Fraser Cafe’s new Table 40 space, so the eating will not be secondary to the conversation. The deets: Lunch with Vincent Lam takes place on Saturday, April 28, at Fraser Cafe’s Table 40 (11 Springfield Road.) Tickets cost $75 for the general public; $65 for festival members. 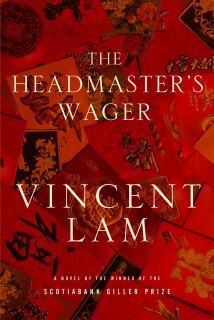 And a mini-review: The Headmaster’s Wager is the hotly anticipated second novel from Vincent Lam, who burst onto the scene in 2006 with his Giller Prize-winning Bloodletting & Miraculous Cures. Here, Lam crafts the harrowing story of one man — Chinese expat Percival Chen, headmaster of a respected English school in Saigon — who is forced to confront his own prejudices as he’s buffeted by the turmoil of Vietnam’s ever-shifting political landscape in the three decades preceding the 1975 fall of Saigon to the North Vietnamese forces. This is a beautifully rendered character study of one man but also tells the much larger story of what day-to-day life was like for the ethnic Chinese living in South Vietnam at the time. For Lam fans who can’t make the lunch, the author makes a second appearance at the Fest on April 27 in a panel discussion with Peter Hobbs and Ami McKay.